The World Health Organization (WHO) has issued official guidelines for treating both Type 1 and Type 2 diabetes in low-resource settings. This designation can apply to both lower-income countries and disadvantaged populations in high-income countries, the guidelines note. The recommendations cover treatment intensification for Type 2 diabetes, as well as the type of insulin used for both Type 1 and Type 2 diabetes. They do not cover children or pregnant women. Published on September 18, 2018, in the Annals of Internal Medicine, the guidance is aimed at clinicians as well as policymakers and health system administrators. The published guidelines are the work of a 12-member group that analyzed “high-quality systematic reviews” from 2007 to 2017. The group aimed to provide clarity on the use of a dramatically expanded range of drug options, which includes dipeptidyl peptidase-4 (DPP-4) inhibitors, sodium–glucose cotransporter-2 (SGLT-2) inhibitors, thiazolidinediones (TZDs) and insulin analogs. The guidelines confirm that metformin should be the first-line drug of choice for most people with Type 2 diabetes. If a patient fails to achieve good glycemic control on metformin alone, a sulfonylurea should be added to the regimen. If a patient has contraindications to metformin, a sulfonylurea can be prescribed by itself. In recommending sulfonylureas as a second-line treatment, the group concluded that “the evaluated hypoglycemic agents produced similar and statistically significant improvements in hemoglobin A1c.” Evidence on other outcomes and risks was either lacking or of very low quality, so the recommendation of sulfonylureas reflects their low cost rather than any demonstrated superior benefit. If the combination of metformin and a sulfonylurea is inadequate, the next step is to introduce human insulin. This recommendation reflects a lack of significant difference in HbA1c between users of neutral protamine Hagedorn (NPH) insulin and the insulin analogs glargine and detemir. If insulin is unsuitable for someone — possibly because of an inability to properly inject it — then the guidelines state that a DPP-4 inhibitor, an SGLT-2 inhibitor or a TZD may be added instead. 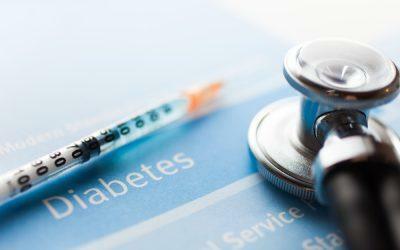 For most people with diabetes who require insulin, human insulin is recommended, according to the guidelines. This includes both short-acting (regular) and intermediate-acting (NPH) insulin. If a patient experiences frequent severe hypoglycemia while taking human insulin, then long-acting insulin analogs should be considered. These recommendations are based on evidence that short-acting insulin analogs result in an average HbA1c level only 0.15 percent lower than that achieved by regular insulin in Type 1 diabetes, while long-acting insulin analogs and NPH insulin show barely any difference in HbA1c outcomes. Insulin analogs were shown to result in fewer severe hypoglycemic events in both Type 1 and Type 2 diabetes compared with human insulins, and detemir was associated with a lower body weight compared with NPH insulin. But these potential advantages were deemed insufficient to justify recommending them in most cases because of their much higher cost. As noted in the article’s discussion section, the guidelines aren’t meant to apply exactly to specific patients or populations, and not apply to others. Instead, they offer a framework for clinicians and policymakers with limited resources, or whose patients are likely to be responsible for out-of-pocket treatment costs.